giffgaff offers Always On data with unlimited downloading from £25/month. 4G speeds are available on the first 20GB of data. giffgaff offers Always On data for £25/month. In the UK, giffgaff offers an “Always On” data package with unlimited downloading from £25/month. 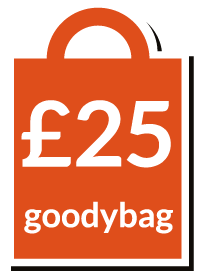 Available with no contract and no credit checks, the £25 goodybag gives you peace of mind over your mobile data usage. On the goodybag, you’ll never run of data in the middle of the month. You’ll also never see unexpected charges for using too much data. 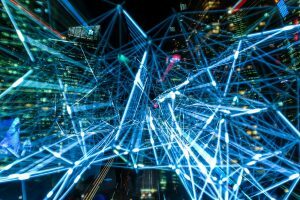 In this article, we’ll review giffgaff’s Always On data including what you’re able to do with it and how it compares to alternative unlimited data plans. We’ll also look at the range of available Always On plans, the level of coverage you can expect and how you can use it when abroad. 1 What is Always On Data? What is Always On Data? In the UK, giffgaff is a low-cost sub-brand of O2 offering their customers lower prices and greater flexibility. giffgaff’s flagship product is their £25/month goodybag with ‘Always On’ data, unlimited minutes and unlimited texts. The product is designed to give you the ultimate peace of mind that you’ll never run of data in the middle of the month. As such, there are no download limits with Always On data (there is only a reduction in maximum download speeds when you use more than 20GB of data in a month). Being a pre-paid product, an important benefit of giffgaff’s £25 goodybag is you won’t be able to incur unexpected charges. Spending is limited to the money you’ve already topped up on to your SIM card so there’s no chance of receiving an unexpected large phone bill. This makes it perfect for younger mobile users who want more control and also for parents who are giving a SIM card to their children. There’s no need to undergo a credit check for the service, and no need to sign any contracts. Download speeds are restricted to 3G if you use more than 20GB of data in a month. With giffgaff’s Always On data, there are no hard limits on how much you can download. One thing that’s worth being aware of, however, is the restriction on maximum download speeds if you pass a 20GB per month threshold. Assuming your data usage is less than 20GB per month, you’ll have full access to high-speed 4G internet. If your data usage were to pass 20GB during a given month, maximum download speeds would be restricted between 8am and midnight each day until the end of the month. The reduced download speed is 384kbps (equivalent to a normal 3G connection). At a restricted download speed of 384kbps, it’s still possible to use the vast majority of functionality on your smartphone. Web pages may load a little bit slower, but it should still be possible to listen to music or radio online. Video streaming services like YouTube and Netflix may encounter some buffering due to the maximum download speed. Between midnight and 8am each day, full 4G download speeds will always be available. If you’d like to bypass the speed restrictions between 8am and midnight, you can alternatively choose to renew your goodybag early. 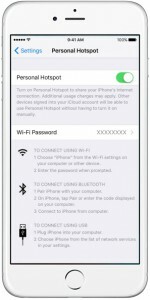 Tethering or personal hotspot refers to the process of sharing your smartphone’s internet connection with other devices (for example, with your laptop or tablet). On giffgaff’s £25 Always On goodybag, tethering and personal hotspot are permitted (but will be subject to the same 384kbps speed restriction if you use more than 20GB per month). Between September 2015 and August 2017, tethering was only permitted on the first 6GB of data per month when using Always On data. This restriction on tethering and personal hotspot has since been removed and no longer applies to newly purchased goodybags. giffgaff operates a traffic management policy known as Traffic Flow. According to the Traffic Flow policy, customers “who have been identified as using the network in a way which impacts other members, consistently over a period of time” will be emailed about their usage and given an opportunity to change their behaviour. This applies to customers with “consistent extreme usage of data in peak times”. 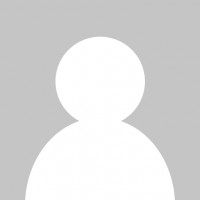 The policy continues: “members who have been warned but not modified their behaviour, will be prevented from repurchasing an Always On data goodybag in the future”. giffgaff’s full traffic management policy is published on their website. Three offers all-you-can-eat data, but typically at a higher monthly price. Tethering is only available on ‘Advanced’ Pay Monthly contracts. Aside from giffgaff’s Always On data plan, it’s also possible to get unlimited mobile data in the UK on one of Three’s all-you-can-eat data plans. With Three’s all-you-can-eat data plan, you’ll get unlimited downloading and 4G speeds subject to coverage availability. The main difference is that tethering and personal hotspot is only available on the more expensive ‘Advanced’ Pay Monthly contracts and is limited to 30GB per month. It’s possible to get all-you-can-eat data on Three Pay As You Go for £35/month. There are also a number of plans in the UK that give you unlimited data for use with selected applications (e.g. applications like Netflix, YouTube, Facebook, Twitter, etc). For more information, see our in-depth guide to unlimited mobile data plans in the UK. The easiest and cheapest way to benefit from Always On data is by ordering a free giffgaff SIM card and placing it inside your unlocked smartphone. You can then purchase giffgaff’s £25 goodybag which will give you access to Always-On data for one month. If you’d like a brand new smartphone, you can also choose to buy it directly from giffgaff with a £25 goodybag. 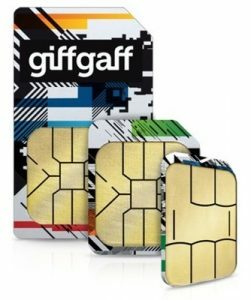 If you already have an unlocked smartphone that you’re happy to keep, giffgaff offers a free SIM card on their website which slots inside your unlocked smartphone. There is no need to sign a contract or to undergo a credit check when ordering a free SIM card from the giffgaff website. 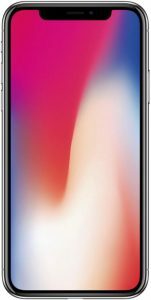 For a full list of available handsets, please see the giffgaff website. In some cases, it may work out to be cheaper buying a handset elsewhere and then ordering a free giffgaff SIM card. giffgaff is a virtual network operator, making use of O2 as its network coverage provider. For this reason, customers joining giffgaff on their Always-On data plan will receive the exact same coverage as customers on O2. 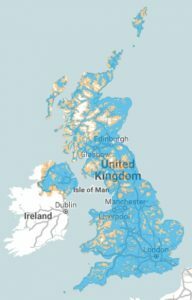 For more information about coverage on different mobile networks, see our full guide to mobile phone coverage in the UK. With giffgaff’s Always On data goodybag, you’ll be able to use your allowances abroad in other European countries. Whilst you’re travelling in Europe, a fair usage policy of 20GB per month applies to your mobile data usage. If you exceed the 20GB limit, you’ll pay a surcharge of 0.6p/MB (equivalent to £6 per gigabyte). This is charged against your Pay As You Go credit. Outside of Europe, it’s not possible to use your Always On data allowance. Instead, you’ll need to pay giffgaff’s international roaming rates which are between 20p and £5 per megabyte (equivalent to between £200 to £5,000 per gigabyte). For this reason, it will normally be cheaper to use a different network when travelling outside of Europe. 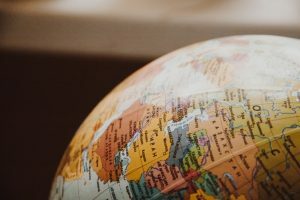 Our in-depth guide to using your mobile phone abroad has more information about how to save on roaming charges. At present, giffgaff does not offer any 4G coverage whilst roaming. For this reason, you’ll be limited to 3G speeds whilst you’re travelling abroad. 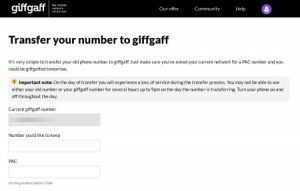 If you’re switching to giffgaff to take advantage of Always On data, it’s a straightforward process to keep your existing phone number. Firstly, you should start by ordering your free SIM card from giffgaff. Once you’ve done that, contact your current mobile network and ask them to provide you with a PAC Code. This is a nine-digit code that authorises the transfer of your phone number to giffgaff, and it must legally be provided to you within two hours of your request. When your SIM card arrives, activate it online and then fill out the number transfer form on giffgaff’s website. After you do this, your phone number will normally be transferred over to giffgaff on the next working day. Please be aware that it isn’t possible to transfer credit from your existing mobile network over to giffgaff. For this reason, you should try to use up your remaining credit before transferring your phone number to giffgaff. For more information about Always On data, please see giffgaff’s official website. We'd love to hear your thoughts and any questions you may have. So far, we've received 8 comments from readers. 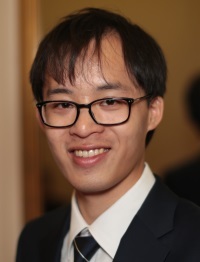 You can add your own comment here. I believe it should normally be possible to renew your goodybag early when you have less than 100 minutes, 100 texts or 100MB remaining on your goodybag. On the £25 Always-On goodybag, you should also be able to renew it early once you’ve used 20GB of data per month. If the system isn’t allowing you to do this, I recommend asking your question again over at giffgaff’s online community. So I’m confused. I want to get a data package that means I’ll always have data and for a cheap price which is why I chose giffgaff. I’m unsure whether or not this is unlimited or not and if I’d be better getting the £20 deal. Also is my bank card automatically charged every month or do I do that myself manually?? Thanks for your comment. giffgaff’s £25 goodybag is unlimited in some sense, though it’s worth being aware of the speed restriction once you hit 20GB per month. Personally, I’d probably go for the £20 goodybag unless you definitely know you need more than 20GB per month! You can then change your goodybag as required in subsequent months based on the amount of data you actually use. With regards to how you’re charged for this, you’re not charged automatically every month by default. However, if you like, you can enable the automatic top-up & automatic goodybag purchase feature within your giffgaff account interface. Just a quick note to say that giffgaff have updated their Always On goodybag. It has now gone up in price from £20 to £25 per month. However, you can now use 20GB of data at full 4G speeds, before the maximum speed is limited to 384kbps between 8am and midnight. I’ve updated the article above to reflect these changes.